Please give to the ISM legal fund and help us release Adnan Ahmad Nimer, a 19 year-old activist from Beit Sira. Let the people of Beit-Sira know that they are not alone. During a demonstration on the 24th of March, Israeli Border Police beat Adnan to the ground with clubs, held both his arms and began strangling him. Adnan’s only way to get the solider to stop was to use his mouth. He bit the fingers of one of the soldiers that was beating him as hard as he could, breaking two of the soldier’s fingers. Other soldiers then continued to attack Adnan with clubs, breaking his front teeth. Adnan was abducted from his home on the 8th of April at 2am by the Israeli military. Thirty soldiers surrounded the house, his father opened the door and the troops gathered the family into one room. They singled Adnan out, took him outside, handcuffed and blindfolded him then took him away. He is awaiting trail in the Ofer military detention centre. Adnan had been active in the demonstrations that occur weekly in Beit Sira to protest against the apartheid wall and the continuing annexation of Palestinian land. An Israeli military court ruled that Adnan be held until the end of the proceedings against him. Attorney Gabi Laski appealed to the court pointing out that Adnan acted in self-defence, that he did not try to deny this in his integration instead saying: ” I bit him. Hard!”. Nor did he try to escape arrest. The military court then agreed to release Adnan on a 20,000 Shekel bail(US $4500). This sum is the equivalent of two years income for Adnan’s impoverished family. Both attorney Gabi Laski and the Military prosecutors appealed. Laski asked to reduce the sum the prosecutor asked to keep Adnan behind bars. The military judge rejected the prosecutor’s appeal and agreed to reduce the bail to 12,000 shekel (US $2700). Like many other Palestinian towns and villages, Beit Sira has its share of the grotesque Israeli annexation barrier and is surrounded by isolating settlements – in this case the Makabim settlement. An ongoing expansion of land theft has resulted in thousands of olive trees being uprooted and huge areas of agricultural land being cut off from the village. Please send a note with your donation specifying the ISM Legal fund. The trial of Jonathan Pollak and Kobi Snitz has come to an end a year after the two were arrested at a demonstration against the wall in the West Bank village of Budrus. Today, Tuesday, May 16th, Judge Alexander Ron of the Jerusalem Peace court declared the two Israeli activists from “Anarchists Against the Wall” innocent of their rioting charge. Judge Alexander criticized Border Police officer Yasmin Levi for changing her testimony. According to the Judge, Yasmin wrote an initial arrest report, but “after speaking to her friends ‘remembered’ to accuse the defendants of stone throwing and cursing;” accusations she later dropped. Koby and Jonathan plan to file complaints against Yasmin Levi. Today (May 14th, 2006), a new petition (HCJ 3998/06), the third in number, was filed at the High Court of Justice, on behalf of the village Bil’in. In this petition, the Court is asked to order the person in charge of government property in the West Bank to annul two declarations, one in 1990 and the other in 1991, in which he declared 900 dunams of the lands of Bil’in (now West of the barrier) as “government property” – i.e., State Lands. The petition also asks the Court to issue an order nisi, ordering the Military Commander, the person in charge of government property, the Fund and the companies which built in Matityahu East to explain why, in their opinion, the declaration should not be annulled. Finally the Court is asked to issue a temporary injunction that will freeze all the new planning procedures of the Matityahu East neighborhood, until a final verdict in the petition. Today (May 14) Supreme Court Judge Salim Jubran ordered the State and the other respondents to respond to the request for a temporary injunction in seven days, and to the petition itself within 30 days. The petition was filed, on behalf of the village Council, Peace Now and 21 of the people of Bil’in who own lands in the declaration zone, by lawyers Michael Sfard and Husein Abu-Husein. The new petition is a direct result of the former two petitions filed by the village Council: The anti-wall petition (HCJ 8414/05), which was heard today; and the petition against the Matityahu East neighborhood (HCJ 143/05), as a result of which building in the compound has been completely frozen. Now the people of Bil’in are challenging the Israeli Court and asking him not just to remove the barrier from their lands or to stop the construction of Matityahu East, but to annul the procedures through which the State took their lands unlawfully, 15 years ago. The petition is based on material discovered during the procedures in the other two petitions. This material indicates that the cause for the declarations concerning government property was not the claim that these lands are uncultivated and hence lack owners (as done in dozens of other villages throughout the West Bank), but the claim of the Fund for the Redemption of Land – a private company from the settlement Kdumim, which purchases lands from Palestinians and gives them to settlers – for having bought the lands of Bil’in. The State cooperated fully with this private company, and declared some 900 dunams of the lands of Bil’in as State lands, while hiding the fact that the Fund claims to have bought these lands. By doing this, the State bypassed orders in several West Bank laws, which specify the procedures in which purchased land can be registered on the name of the buyer. Through these procedures, careful examinations are being done with respect to the selling deals, the identity of the seller, the question did he has any lands in the area and if yes, how many, and more. These procedures are being done publicly, so that each person from Bil’in who claims to have ownership on the lands of part of them, has the right to object. The Fund said they wanted to hide the deal in order to protect the lives of the sellers, who feared they would be murdered after selling lands to settlers. But in the petition, the main reasons for this are exposed: through the illegal cooperation with the State, the Fund managed to avoid the lengthy and expensive procedures associated with registering the land as its own property, procedures which often lead to the conclusion that the purchase deal was false, and to the result that the Fund is left without the lands which allegedly it has bought. The judges, Barak, Prokachia, and Rivlin, presiding over the court case protesting the route of the wall in Bil’in village have not yet reached a decision. In the last hearing, which took place May 14, 2006, the applicant, Bil’in village council, was represented by Michael Sfard, who argued that the wall is not designed to protect people, but rather to protect the investment of real estate sharks and to accommodate the expansion of settlements. The eight lawyers representing the respondents- the state, Modi’in Illit council, and the real estate companies involved in the Matityahu Mizrakh Project- tried to convince the court that the route should remain as it is. Their main argument was that there is a government approved plan from 1999 for 1,500 housing units that occupies the same area that the current unapproved, illegal plan of 3,000 housing units of Matityahu Mizrakh East occupies. Attorney Michael Sfard, representing the Bil’in village council, mentioned prior decisions from other cases as examples that the route of the wall should not be designed to include unapproved plans for settlements or illegal outposts. Nevertheless, the court seems very concerned with the fact that, illegal or not, Matityahu Mizrakh has already been built and 80 families have already moved in. 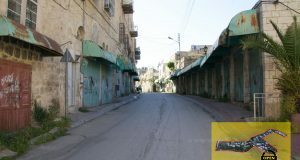 Bil’in village council has also filed another petition to the court, case 143/06, challenging the legality of the existence of the settlement because of a suspicious transfer of ownership of the land from the village to the realtors, by the state declaring the land state land only to later transfer it to the developers. A criminal investigation into the illegal building in Matityahu Mizrakh was instigated after the scope of the illegalities was exposed in court. Recently the villagers filed a third petition, number 3998/06, asking to cancel the designation of their lands as state property. At some point during the latest hearing, Judge Prokachia, seemed to be convinced by the defendant arguments and asked Attorney Sfard to consider withdrawing the petition because she said it is without sufficient grounding in facts. Sfard refused. After continuous discussion, Sfard proposed to the court not to make a decision on this petition until a verdict is reached on the cases involving the legality of the settlement, case 143/06. The judge, Barak, seemed like he was accepting of this option, but did not make a decision immediately. The state expressed dissatisfaction with the fact that currently, according to the courts request, there is an open gate in the fence that the villagers use to access their land. The state asked the court to allow them to set up an agricultural gate, which only farmers with individual permits will be allowed to cross. Sfard asked that the court to uphold the court injunction that was originally given when the court refused to freeze the construction of the wall in it’s current route, saying that all the villagers can have access to their agricultural land. The State’s lawyers said that Palestinians who enter the gate then have access to the settlement and Israel. One of the solutions that Sfard brought up is to close the gate on the settlement instead of closing the gate on Bil’in. The judge, Barak, proposed that the two sides agree on further limitations to be imposed without preventing completely the movement of Palestinians over this land. No decision was reached about this either at this point in time and the issue has been left open. The Israeli Supreme Court approved a law yesterday denying West Bank and Gaza Palestinians married to Israeli Palestinians residence or citizenship in Israel as the haaretz editorial http://www.haaretz.com/hasen/spages/715825.html states, this is a disgrace. Moreover, this is yet another grounding of apartheid by the Israeli ‘justice’ system. * Separate roads for Israelis and Palestinians in the West Bank (and Gaza pre-disengagement) https://palsolidarity.org/wp-content/uploads/legacy/plugins/auto_links/klogs/?kw=disengagement&rl=https://www.palsolidarity.org/main/category/disengagement/ – see Road Networks in the legend here http://www.humanitarianinfo.org/opt/maps/Closure/may05/ochaClosureRpt260405Mp2.pdf . * Different ID cards, giving different privileges (see here) http://www.btselem.org/English/Freedom_of_Movement/Closure.asp . * Massive discrimination on access to water (see here) http://fromoccupiedpalestine.org/node.php?id=611 . * Israeli Palestinian districts inside Israel get far less funding for schools, health and other services than Jewish areas (see here) http://www.sikkuy.org.il/english/2005/nada_matta05.pdf . * Israelis can move around…see here http://www.humanitarianinfo.org/opt/docs/UN/OCHA/OCHAoPt_ClosureAnalysis0106_En.pdf . You see? They are animals, they are terrorists. All of them. Just like the Jews all control the media, Hollywood and practically everything else in the world. Sound familiar? The decision by the Israeli High Court of Justice on 14 May to uphold a law which explicitly denies family rights on the basis of ethnicity or national origins is a step further in the institutionalization of racial discrimination in Israel. The “Citizenship and Entry into Israel Law” bars family reunification for Israelis married to Palestinians from the Occupied Territories. It specifically targets Israeli Arabs (Palestinian citizens of Israel), who make up a fifth of Israel’s population, and Palestinian Jerusalemites,(1) for it is they who marry Palestinians from the West Bank and Gaza Strip. Thousands of couples are affected by this discriminatory law, which forces Israeli Arabs married to Palestinians to leave their country or to be separated from their spouses and children. 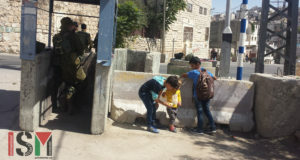 Israeli military law forbids Israelis from entering the main population centres in the Occupied Territories and Israeli citizens cannot join their Palestinian spouses there, and at the same time Palestinian spouses staying in Israel without a permit are constantly at risk of being deported and separated from their families. Thus, Israeli-Palestinian couples would ultimately be forced to move to another country in order to live together – an option which is neither feasible nor desirable for those concerned. In addition, Palestinian Jerusalemites would lose their residency and their right to ever live in Jerusalem again if they move out of the city. Five of the 11 High Court of Justice’s judges who ruled on this law on 14 May, including the Court’s President, voted against upholding the law, recognizing that it infringes human rights. The Court’s President, Aharon Barak, stated that the law violates the right of Israeli Arabs to equality. Indeed, the law violates the absolute prohibition on discrimination contained in international human rights law, notably several treaties which Israel has ratified and is obliged to uphold, including the International Convention on the Elimination of All Forms of Racial Discrimination (ICERD), the International Covenant on Civil and Political Rights (ICCPR), the International Covenant on Economic, Social and Cultural Rights (ICESCR), and the Convention on the Rights of the Child (CRC). The provision in the law which allows for the discretionary granting of temporary residence permits for Palestinian male spouses over 35 and female spouses over 25 is arbitrary in nature and does not alter the discriminatory character of the law. It will also not benefit the majority of Israeli-Palestinian couples, who marry at a younger age. Moreover, the permit applications of spouses who meet the age criteria can be rejected on the grounds that a member of his/her extended family is considered a “security risk” by Israeli security services. Thousands of Palestinians seeking family reunification prior to the passing of this law were rejected on unspecified “security” grounds in circumstances where the failure to provide detailed reasons for each rejection made it impossible for those rejected to mount an effective legal challenge to the decision. The Israeli authorities have sought to justify the law on security grounds but have brought no convincing evidence to substantiate such claims. Even claims that some 25 people, some of whom were born to Israeli parents and were not in Israel as a result of family reunification, have been involved in attacks in security-related offences, cannot justify denying family reunification to every Palestinian. Doing so is discriminatory and disproportionate and would constitute a form of collective punishment, prohibited under international law. Moreover, statements by Israeli officials and legislators who support the new law indicate that it is primarily motivated by demographic, rather than security, considerations – that is, a determination to reduce the percentage of Israeli Arabs among the country’s population. The ban on family unification for Israeli-Palestinian couples, initially introduced by an administrative decision of the Interior Minister in 2002 and subsequently passed into law by the Israeli Knesset in July 2003, is due to be reviewed by the Israeli Knesset next July. Amnesty International reiterates its call on the Israeli government and on Members of the Knesset to repeal this law and to ensure that any steps taken to address security concerns, including any amendments to the citizenship law, comply with international human rights law – notably the principle of non-discrimination. (1) Palestinians who remained in Israel after the establishment of the state in 1948 became Israeli citizens, whereas the Palestinian inhabitants of Jerusalem received a special status as permanent residents after Israel’s occupation of East Jerusalem in 1967 and its subsequent annexation. 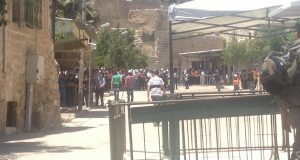 Today, there are about 230,000 Palestinian permanent residents of Jerusalem.